Continental ContiEcoContact™3 offers safety and efficiency for compact and mid-range cars. Continental ContiEcoContact™3 offers safety and efficiency for compact and mid-range cars. It's tread design provides optimal ground contact and therefore shortens the braking distances on wet and dry surfaces. The flexible silica compound allows a strong connection between tyre and surface for better traction. 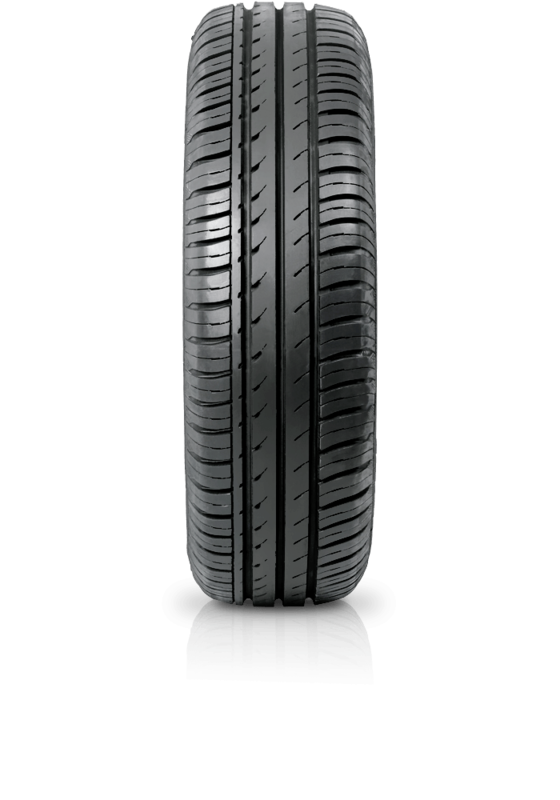 With this tyre you can expect excellent braking performance as well as precise handling and directional stability. Other highlights include high mileage and lower fuel consumption.